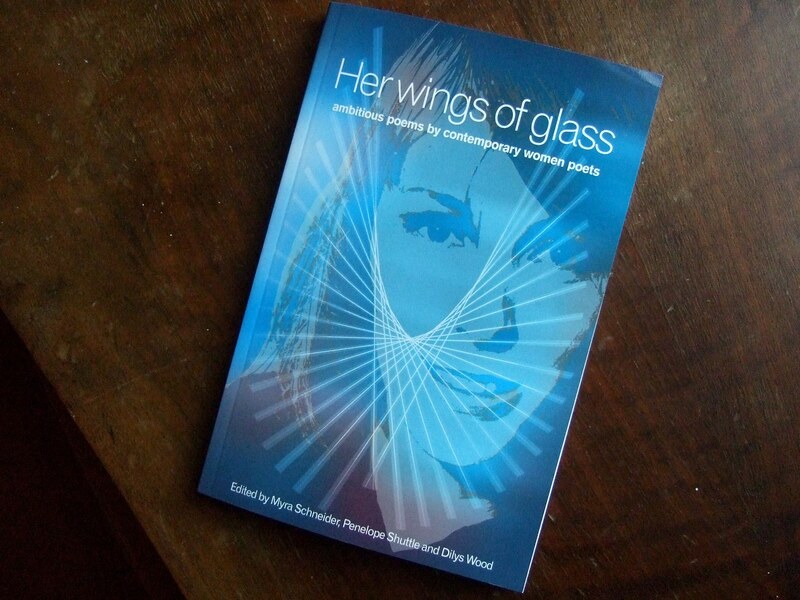 Her wings of glass is a marvellous new anthology published by Second Light Network, containing ‘ambitious poems by contemporary women poets’. It features 237 ‘highly individual, complex, allusive poems by 134 women poets’. Reviewer John Killick describes it as ‘an absolutely outstanding collection making a powerful impact … I think it is the most important anthology for decades’. I am so proud to have a poem included in this lovely book (What Happens At Night, from my collection Not Lost Since Last Time). Her wings of glass commemorates the work of Sylvia Plath, half a century on from her death. The anthology includes marvellous poems by Gillian Allnutt, Fleur Adcock, Gillian Clarke, U A Fanthorpe, Imtiaz Dharker, Selima Hill, Jen Hadfield, Pauline Stainer, Mimi Khalvati and many more wonderful poets. It’s available from Second Light Publications here. Thank you so much editors Myra Schneider, Penelope Shuttle and Dilys Wood. Next Next post: 52 – the books!